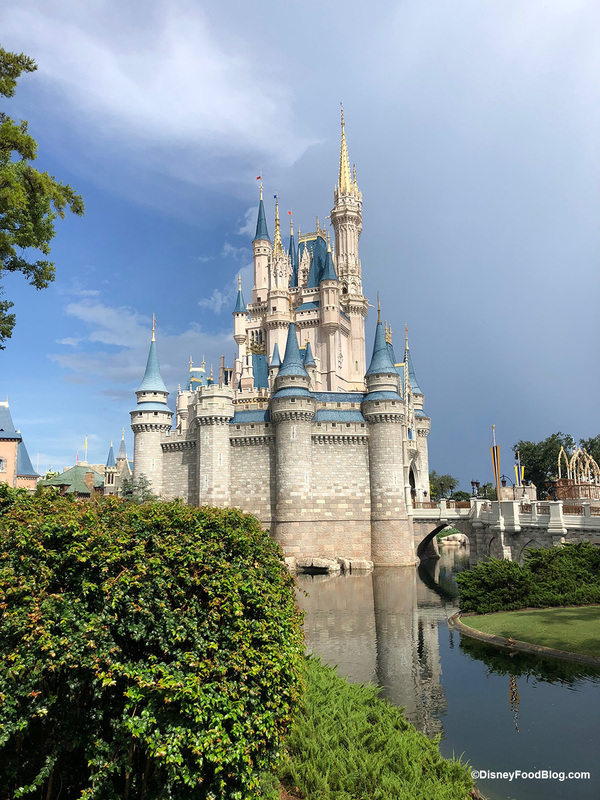 It was another busy week in the Magic Kingdom! 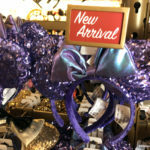 We found must-have merch, price increases, snack updates, construction and more! We’ll start off with some construction updates. 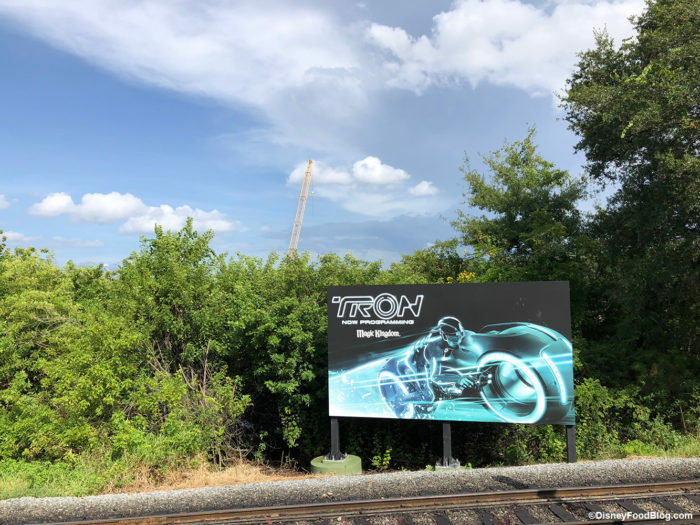 We are getting so excited for the Tron ride! 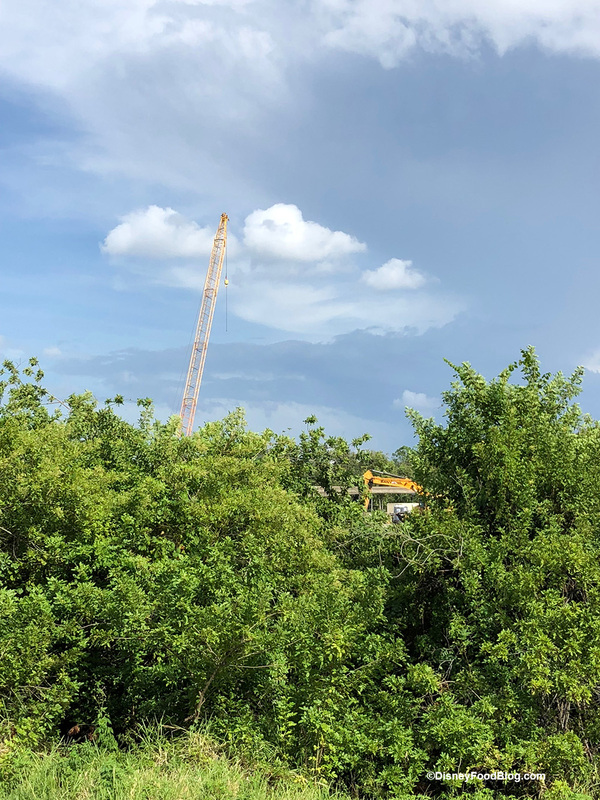 In addition to this “billboard” promoting the ride that you see while you’re on the train we could spot cranes and equipment — signs they are working away to have the ride ready for 2021. Mashed Potato Hot Dog and Mashed Potato…FRIES?!? Yep, you read that correctly! 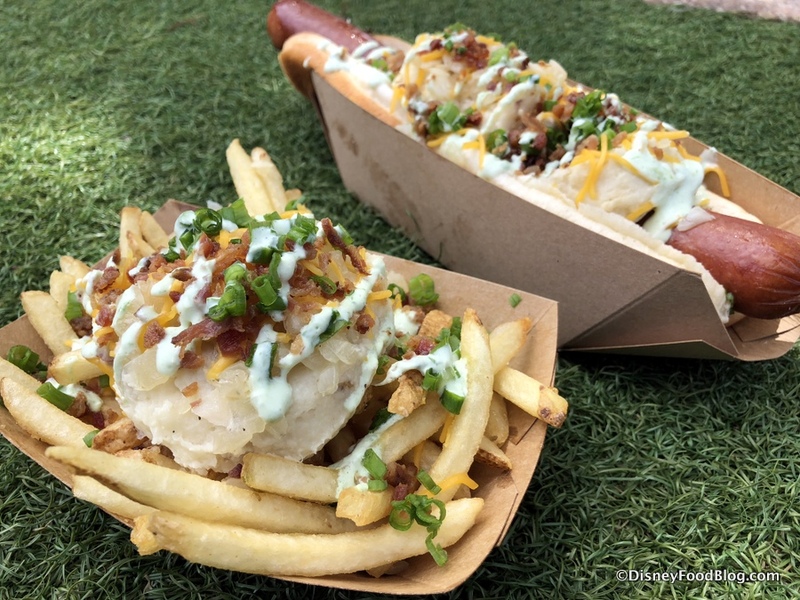 Disney World is piling Mashed Taters on top of a hot dog AND french fries this month at Casey’s Corner! Click here to see all the goodness. What else did we find? 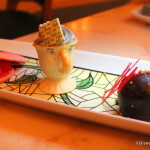 Earlier this month Walt Disney World increased the pricing on many snacks and restaurant menus. 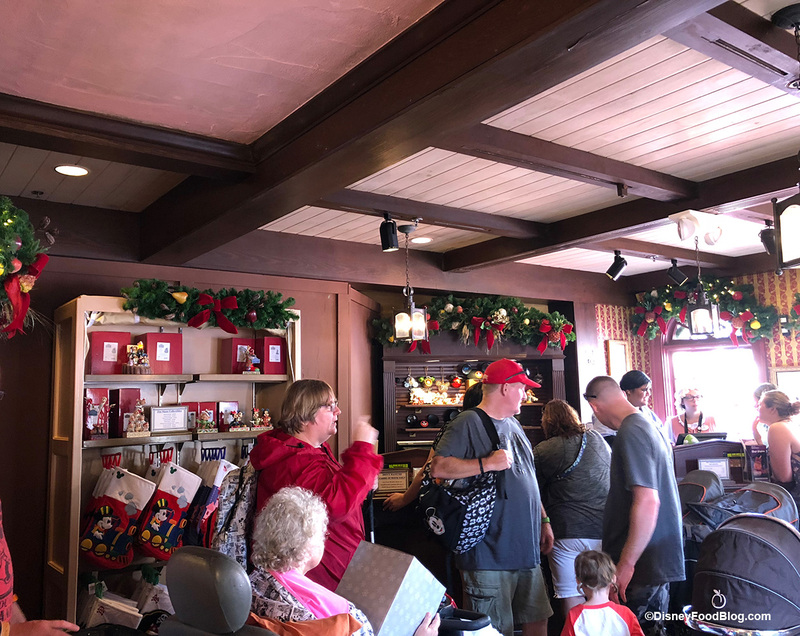 This week, we spotted some increases at popular Magic Kingdom restaurants and snack locations. Add a few more dollars to your wallet or gift card to dine with Pooh, the Beast, and others. Find out which locations were victims of the price increase HERE. 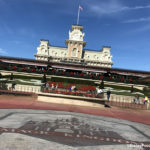 Magic Kingdom “Of-The-Month” Items…Including Some New Restaurant Additions! 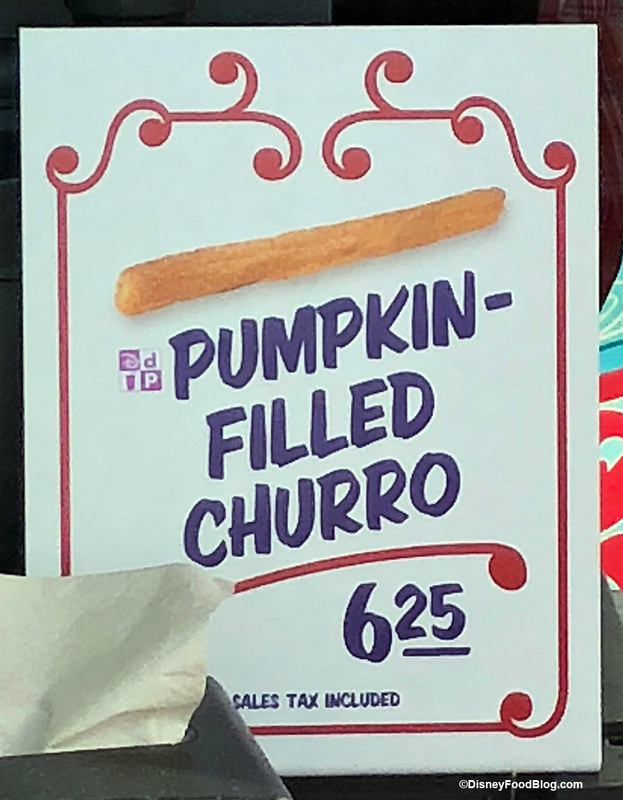 The Magic Kingdom Restaurants are upping the “of-the-month” features with Loaded Mashed Potato Hot Dogs or French Fries, Pumpkin Ice Cream, Bottomless Shakes, Taco Trios, and an Apple-Pickin’ Flatbread feature. Be sure to check out all of the “of-the-month” specials before they disappear! We absolutely love this line of clothes…if only it came in adult sizes. 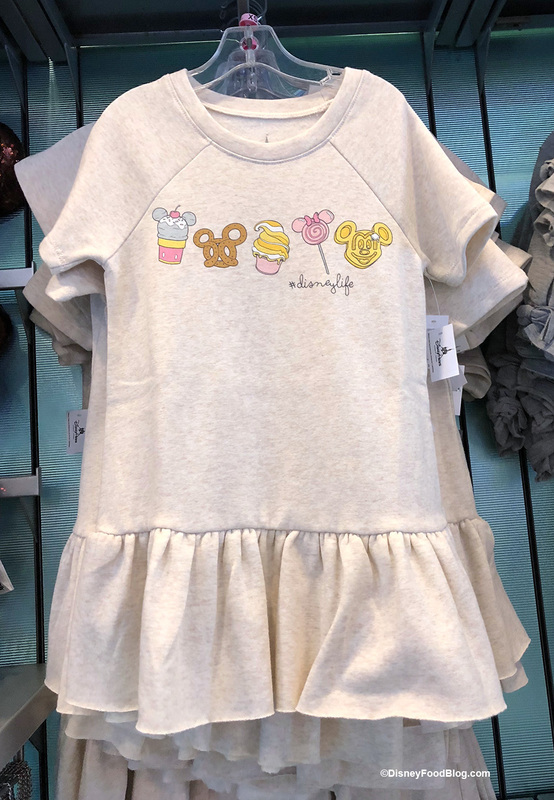 Disney has launched a new line of #DisneyLife clothes for kiddos that features all of our favorite snacks. Check out these must-have shirts and leggings! At least our kiddos will be expressing our love of Disney Snacks if we can’t. 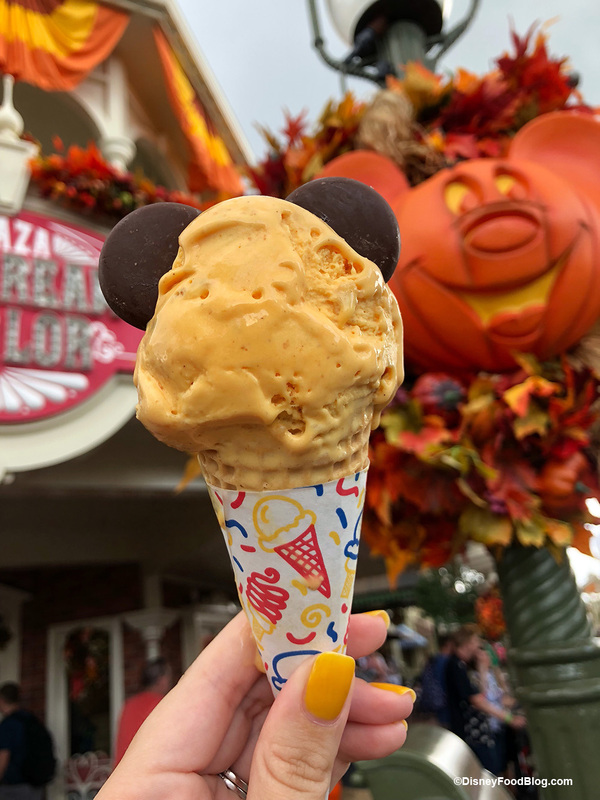 While we’re thinking (dreaming of snacks) we collected all the snack updates here — including where to find a Pumpkin-Filled Churro in the Magic Kingdom! 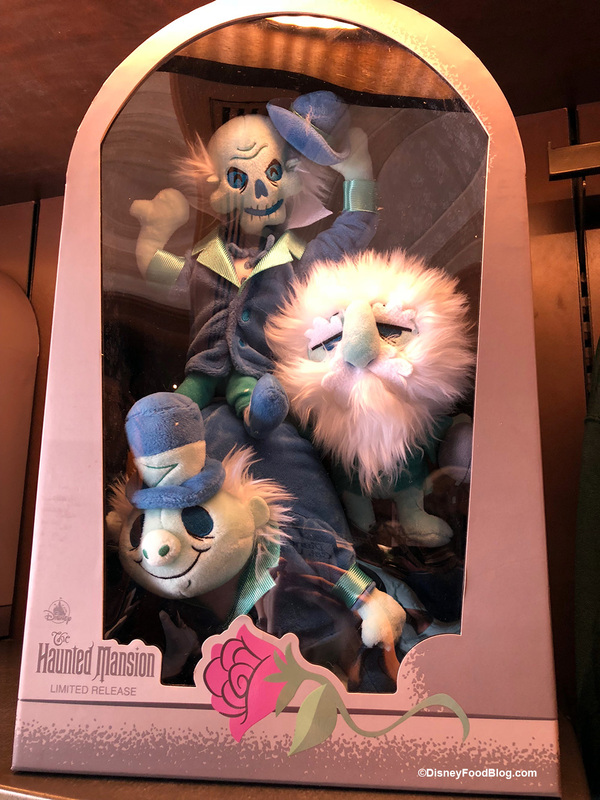 Memento Mori is the store in Magic Kingdom dedicated to all things Haunted Mansion. We found the Limited Release Hitchhiking Ghost Plush Set here plus more must haves to add to your Haunted Mansion Collection. Dole Whip Purse and More! Admit it, no trip to the Magic Kingdom is complete without a Dole Whip. 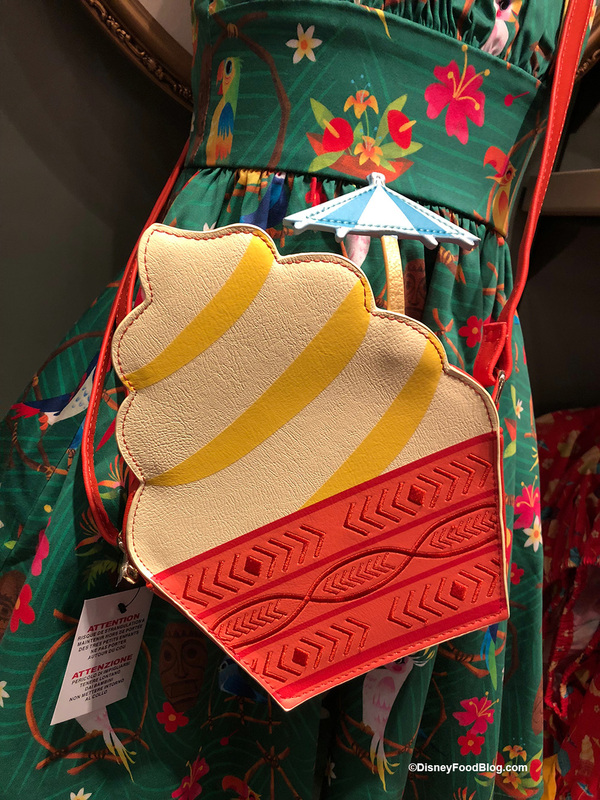 If you agree with this then you’ve got to see the new Dole Whip Headband and Dole Whip Purse we found! Fun New Disney Mugs Spotted in Magic Kingdom! Our morning isn’t complete without a cup of coffee, and it’s always better in a Disney Mug. 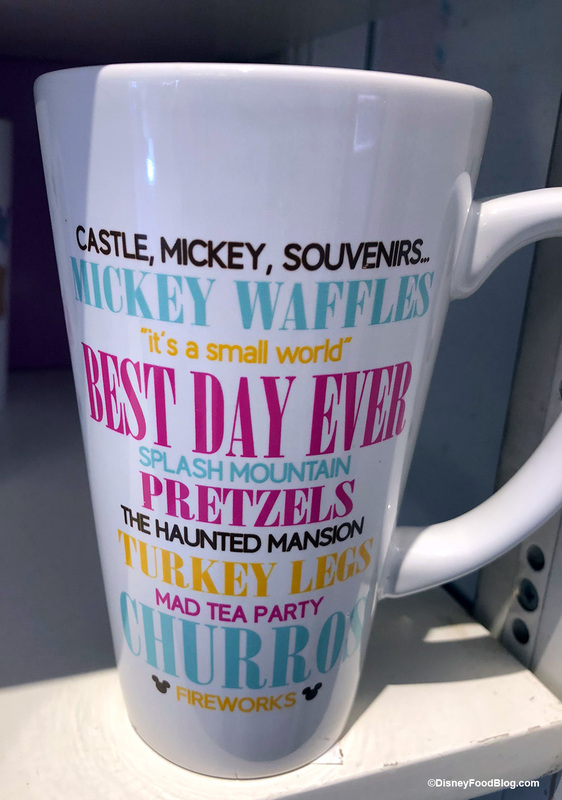 We found a whole bunch of new mugs featuring some little-seen characters, the Princesses, and a Best Day Ever mug! You’ve got to check these out! See all the new mugs here! When you’re on the Jungle Cruise you get the unique opportunity to see the backside of water. 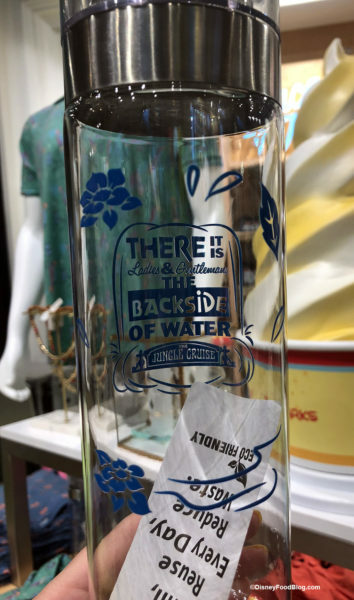 Now you can “bottle” the backside of water with this fun water bottle. The best part is when you turn it around you see the backside of the printing! Those skippers sure are clever! You can pick this up in the Magic Kingdom or Disney Springs. Even though the pumpkins are up and Jack-o-Lanterns are lit at night, Disney is getting ready for Christmas. First off, Ye Olde Christmas Shoppe is still undergoing refurbishment. Last week the back third of it was closed, now the middle third is closed. They will be all ready for your Christmas shopping. 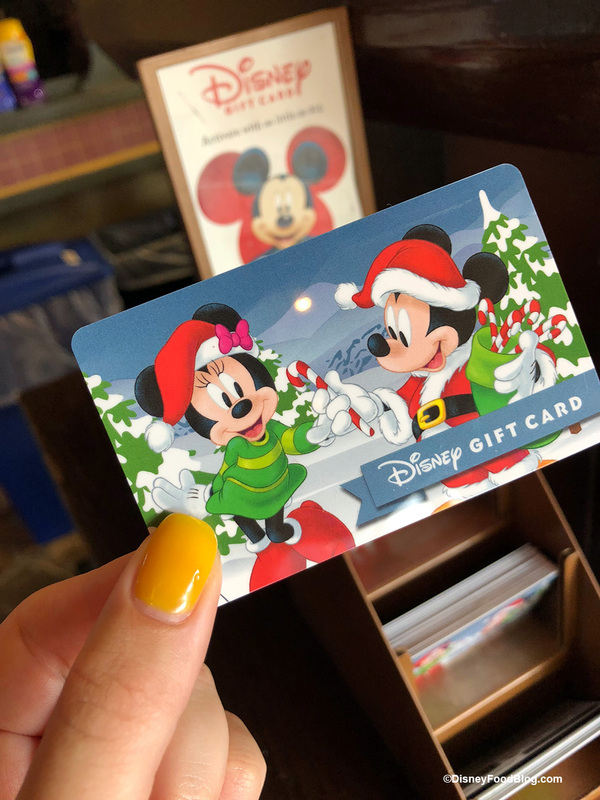 Speaking of Christmas shopping, the Christmas themed gift cards are starting to appear in the parks and Disney Springs. 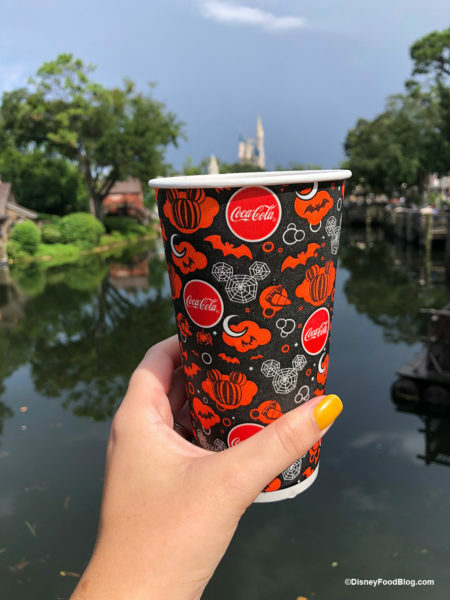 Even though Christmas is starting to sneak in the parks, you can still get your fountain drinks in Halloween themed cups. We didn’t see any lids on the cups at any of the locations we stopped by, but straws were still out in all the locations we visited. 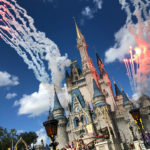 Be sure to subscribe to our newsletter so you get all the updates from our trips to the parks! Check out our Disney World Resort Snack Scavenger Hunt! When you’re done – check out all of our Videos on You Tube! The DFB Guide to the Walt Disney World® Holidays 2018 is a one-of-a-kind resource that will help you get the most out of your holiday vacation at Walt Disney World. 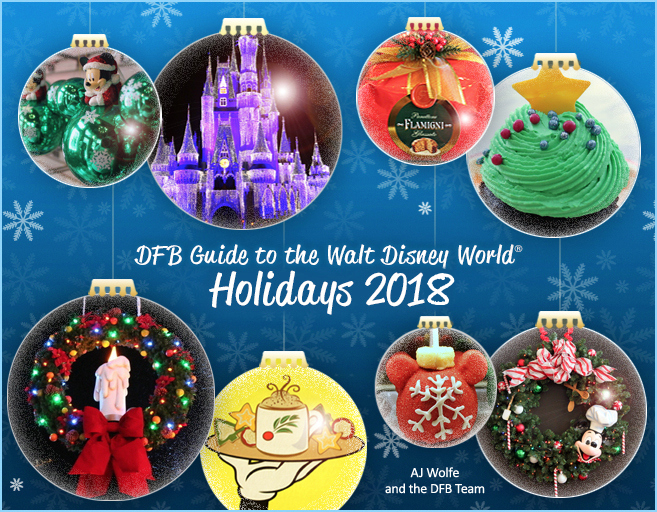 Pre-order The DFB Guide to the Walt Disney World® Holidays 2018 and get the 2017 edition as a free, instant download! Pre-order your 2018 Guide now and get 20% off with code PEPPERMINT! 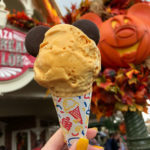 Pumpkin Ice Cream and More “of-the-Month” Features Impress at Magic Kingdom! « Mugs Galore! Check Out All the New Mugs We Found in the Magic Kingdom! Love these What’s New blogs. They ran out of mashed potatoes tonight so I didn’t get to try the hot dog. 🙁 I seriously have the worst luck! I’d love to know where you found the “Back Side of Water” water bottle! 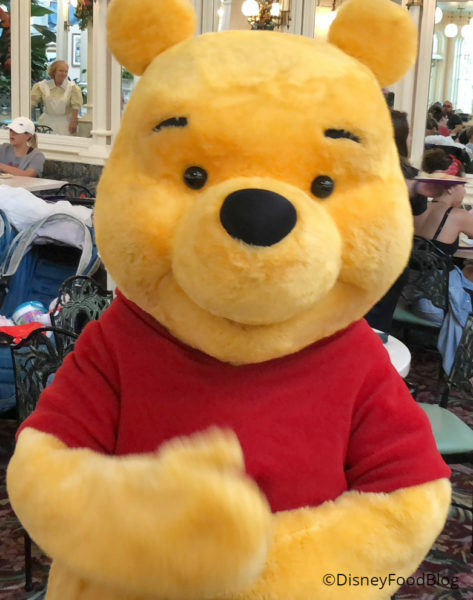 I can’t seem to find it on line or on the Shop Disney Parks app……..
Angela, we spotted them in Disney Style in Disney Springs and at both the Emporium and Agrabah Bazaar in Magic Kingdom.